Kyoto, a well-known city in Japan, is an extremely popular tourist destination. As a UNESCO World Heritage site, it contains many historic monuments like shrines and temples. In fact, its shrines and temples is one of the major attraction for tourists, esp during autumn, where the old temples amidst the autumn foliage makes for a really pretty picture! Kyoto also retains quite abit of its old architecture in parts of the city. In some parts, you could imagine yourelf as walking in imperial Japan! Some of the old houses have been converted to guesthouses, which I felt was a much better accommodation option than hotels. 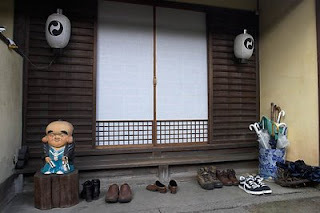 Wooden sliding doors, quaint furnishings, delightful small gardens, it really makes you feel you are IN japan!! The other main attraction that no visitor to Kyoto should miss out is the Gion district. 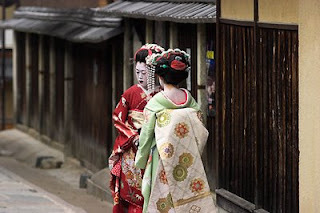 Here, you'll have the chance to catch a glimpse of geishas or maikos still dorned in their traditional clothings, going about their business. 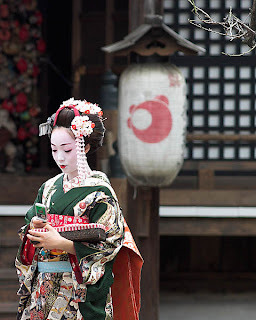 Of course, you could also opt to go for one of the geisha performances that's being arrange in various places like theatres and even restuarants. Or if you visit Kyoto during one of its festivals, then you can easily see many Japanese wearing their kimonos in the streets. 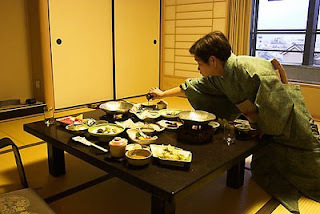 The Japanese women love to wear their kimonos when the occasion calls for it! 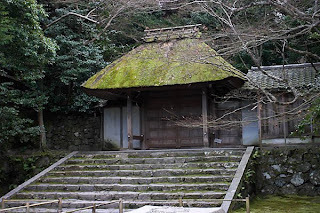 Kyoto has lots of other attractions, which can be easily found in guidebooks or on the net. As it is a popular tourist destination, plan and book ahead is recommended if you visiting during the peak periods!